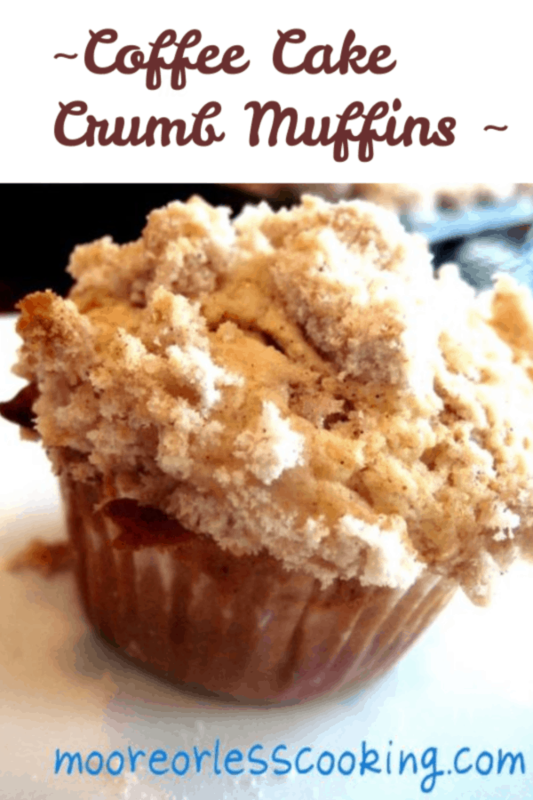 What better way to start your day, than with these incredibly moist and delicious Coffee Crumb Cake Muffins! Brown Butter. Yes, you read that correctly. BROWN BUTTER! That’s the word on the street that makes everything baked taste even better. Don’t you know it’s a fact that everything tastes better with butter and everything tastes amazing with brown butter. Well, that’s what I have read in my baking journals. I love coffee cake, yes, I really love coffee cake, any excuse for making a coffee cake is my perfect morning. 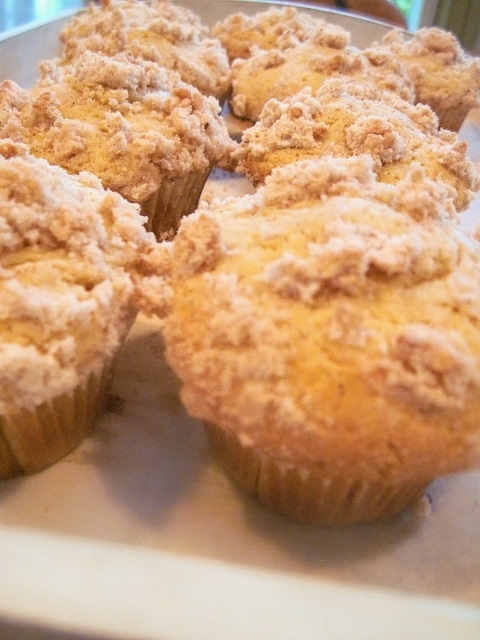 But since I didn’t have an excuse to make coffee cake, I made coffee cake muffins. I knew my kids would love to have one of these before they went off on their merry way to school…..I was so right and voted Best Mom of the Year because of it….well maybe I am exaggerating this point a bit! These are the best muffins ever! 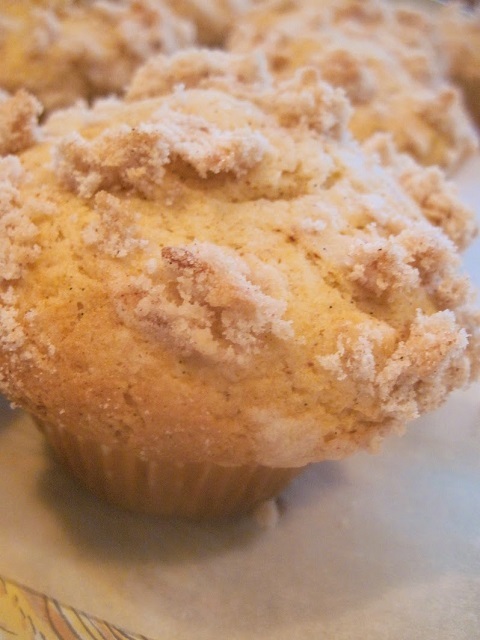 Delicious streusel and the perfect way to start your morning or afternoon! Put a rack in the upper third of the oven and preheat oven to 350 degrees F.
Line muffin pan with paper or foil liners. Keep an eye on the butter. Melt and cook down the butter until little brown bits appear in the pan. The crackling will subside and butter will begin to brown fairly quickly after that. Keep a close eye. I burned my first batch. If using a vanilla bean, split the vanilla bean down the center, scrape the seeds out, and in a small bowl, rub the vanilla beans into the granulated sugar. In a medium bowl, whisk together milk, eggs, and vanilla. Add the brown butter and stir to combine. Add milk and butter mixture all at once, and stir gently to combine. Sprinkle evenly over the batter in the cups. Keep an eye on them… they dry out quickly. Mmmm, it occurs to me that I haven’t done a recipe swap with you yet 😉 Soon! You had me at “Crumbs”!! Lol!! They look yummy!! They do look yummy , but I’m slightly confused…there’s no coffee in the recipe!? 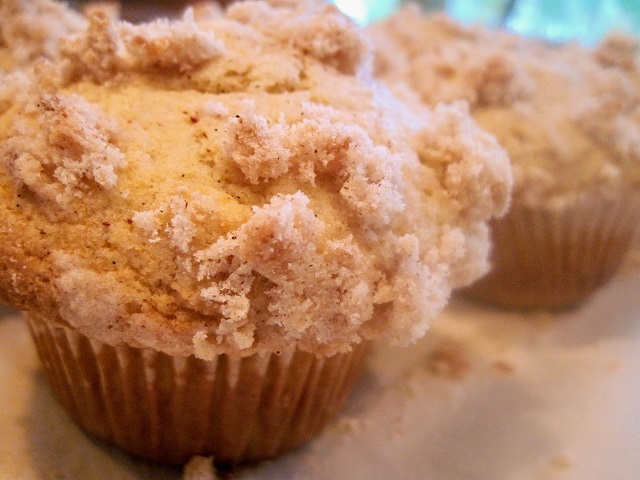 Yes, this is a coffee cake muffin to be eaten with your cup of coffee. That’s why they call it Coffee Cake. I followed the recipe precisely and the batter was chunky and the muffins came out flat. Also, the streusel proportions are off. Very dissapointing. Not sure why? I have made these muffins many times. This recipe has been reviewed by other bakers with great results also. Sorry the recipe didn’t work out for you. I do not have a video Temera…yet! 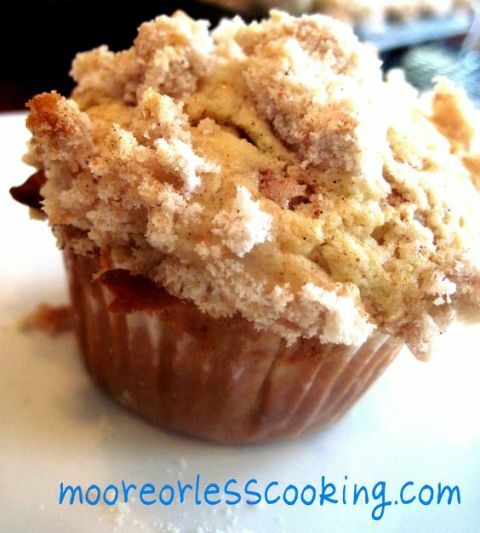 I love muffins like this and yours looks delicious!! !